The sun is still blazing here in New York, but I am more than ready to start breaking out the autumn wardrobe. Layers, cozy knits, and everyday booties -- I'm ready for you. Until then, I am slowly transitioning into fall with some seasonal staples that will last until summer rolls around once again. As we ease into September, I've been looking to light layering to get me to through my days at the office and school. 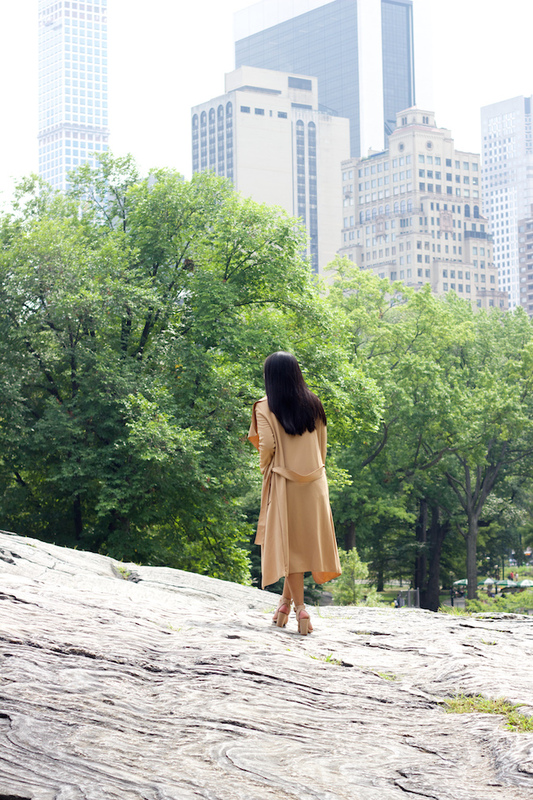 This fitted duster coat was the first outerwear piece I brought out for the season because it carries an autumnal vibe while staying airy during these warm days. When layered over a lightweight woven tank, the result is a neutral look to take you from day to night, even when the transitional temperatures start making those unpredictable hourly shifts. Who else is ready for colorful leaves and cozy cardigans? I know I am. 9/11 update: On a side note, as these photos show this magnificent city in the background, let's take a moment to remember those who gave their lives on September 11, 2001. Never forget. YYYESSSS THIS OUTFIT IS GIVING ME LIFE. I am absolutely going to wear this:D You look elegantly stunning as always! I can't wait to bust out the boots and layers too! This is such a cute and chic transitioning outfit. I'm loving your trench! Gorgeous transaction here, love the classy look. With binary options traders basically need to anticipate the route on the price of the fundamental asset, which might be an index, a commodity, a stock or possibly a Forex pair. If they suppose that the amount in the asset while in the provided period of time would rise, they obtain a binary Call option and if they suppose that the price tag with the asset would fall, they get a binary Put option. Regardless of what type of business you are running, the most reliable online marketing company must be able to learn the needs of your company. This will help them come up with an excellent strategy that will help make your business successful. I so want this outfit!! 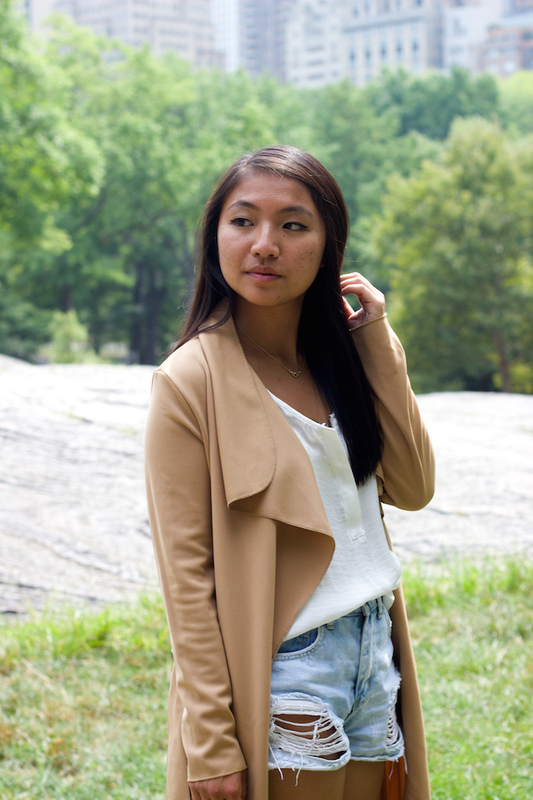 Perfectly casual, minimal, and chic! Love this look! I have the same Jacket :)!!! You styled it perfectly!!!! The coat is beautiful! I love how you paired it with those heels. You look fantastic! Effortless,it's a transition look indeed. I love you top and jacket! Love ur blog, the pics are amazing I like that trench !! would u like to follow on gfc? It is a must for me to get a duster coat like this for Fall and Winter! It is just so classic and cute!